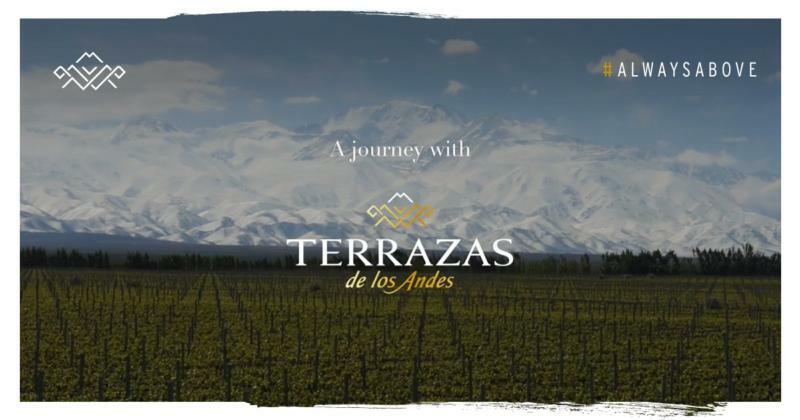 Terrazas de los Andes was founded in 1999, in the heart of Mendoza, a renowned winemaking region in the west of Argentina, on an estate where the first ungrafted vines were planted in 1929. It takes its name from the "terrazas", a series of terraced plateaus at the foot of the Andes mountain range, scattered over altitudes ranging from 600 to 1,500 meters. On these terraces, each of the grape varieties – malbec, cabernet sauvignon, torrentés and chardonnay – are planted at optimum altitudes to benefit from ideal ripening conditions. Altitude and the vast temperature differences between day and night give the grapes wonderful aromatic complexity and flavor and the potential to make wines that boast remarkable structure, balance on the palate, and power. Internationally renowned for the intensity, character and excellence of its vintages, Terrazas de los Andes produces four distinctive yet complementary wines: Altos del Plata, Reserva, Single Vineyard and Cheval des Andes. Bright red color with purple shades. Intense floral and fruity notes. Presence of violets, ripe black cherry and plum aromas. Reveals a toasty and spicy character of black pepper and chocolate. Its sweet and juicy mouthfeel delivers finesse, delicate tannins and an elegant finish of black fruits.
" Bright red color with purple shades. Intense floral and fruity notes. Presence of violets, ripe black cherry and plum aromas. Reveals a toasty and spicy character of black pepper and chocolate. Its sweet and juicy mouthfeel delivers finesse, delicate tannins and an elegant finish of black fruits." Red with purple highlights,predominant aromas of black fruit as plum and berries in harmony with toasted hints and spicy notes of black pepper. Fruity and fresh profile.Presence of a slight toasted touch due to barrel aging.